(1 night), Panjhora (1 night), Gorumara (1 night)Air Fare/Train fare. Pick up from Alipurduar railway station / NJP Rly station and transfer to Buxa Tiger Reserve. Check into the hotel and make yourself comfortable. After having your meal visit Raja-bhat-khowa and Museum Jayanti. Evening free for rest. Overnight stay at Buxa. Early morning having your meal and proceed to Buxa Fort (Trekking route), After lunch visit Jayanti River & MAHAKAL, Phuntsholing, Pokhri Lake, Phuntsholing. Overnight stay at Buxa. This morning proceed to Samsing from Madarihat. After taking some rest start for exploring Samsing’s beauty. 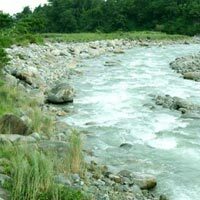 Visit Dalgaon, Bindu, Rocy Island, Suntaleykhola. Overnight stay at Samsing or Paren. Early morning starts for Panjhora. After reaching there we will assist you to Chapramari Forest. Evening free for your personal activities. Overnight stay at Panjhora. Early morning having your meal and procced to Gorumara. Check into the hotel, fresh up yourself after then we will assist you to Elephant Safari at Gorumara forest. In the Evening enjoy the Trible Dance programme. Night halt at Gorumara Forest. Day 7: Gorumara to Malbazar / NJP Rly station drop. This morning after breakfast, we will drop you to Malbazar / Njp Rly station to your onward journey. Tour ends with sweet memories.